It is hard to associate the Northamptonshire village of Ashby St Ledgers with one of the most notorious terrorist plots of all time. In fact, despite nestling between Dunstable’s tired industrial estates and the fearsome Daventry International Rail Terminal to the north, you may actually struggle to associate Ashby St Ledgers with the 21st century at all. It’s so quiet, you wonder whether everyone’s been kidnapped by aliens. Perhaps, you speculate, all the inhabitants are in hiding. That would make sense. 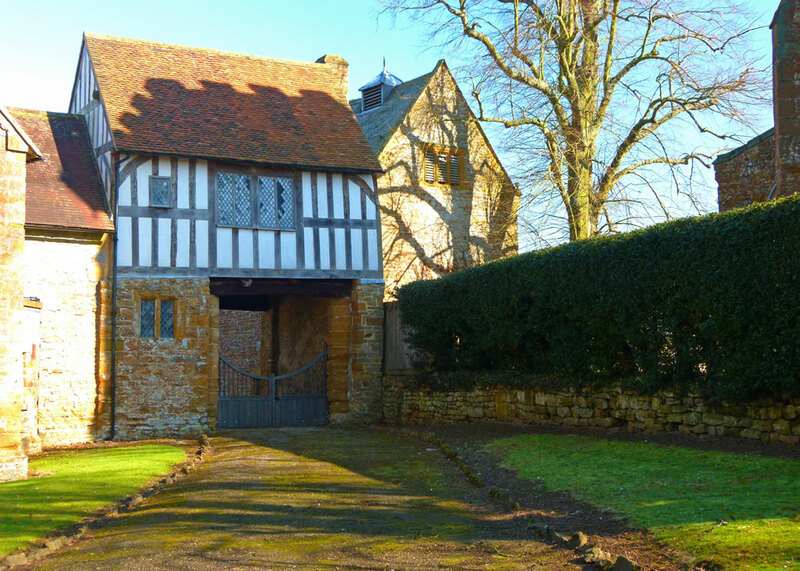 Because it was here, in a room over one of the manor’s gatehouses (not open to the public), that the infamous 1605 Gunpowder Plot was allegedly hatched. Had this succeeded, many innocent people would have died – and, perhaps, if the terrorists’ hopes had been realised, Britain’s story would have taken a different path. It’s not fair, of course, that anywhere should be defined by a single event. 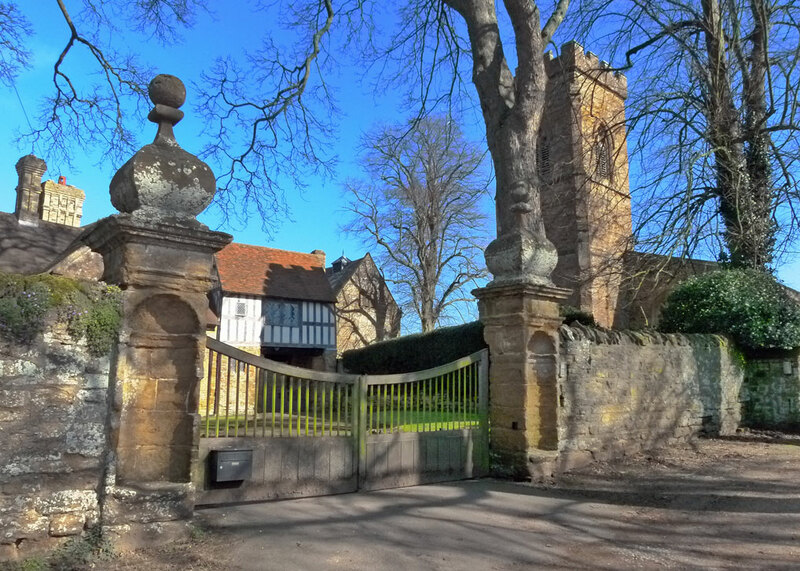 And you do get – if you’ll forgive the cliché – a sense of Ashby’s long and considerably broader history as you stroll down deserted Main Street. It was mentioned in the Domesday Book (1086) as ‘Ascebi’ – settlement with ash trees. The name is Danish, suggesting earlier origins. There’s not much to Ashby St Ledgers, but it’s a lovely place with some gorgeous buildings and a welcoming looking pub, The Olde Coach House. The 13th century church, dedicated to the Blessed Virgin Mary and St Leodegarius (or ‘Leger’, Bishop of Autun, who was blinded and then murdered in 679AD), is alone worth spending some time in; fascinating. 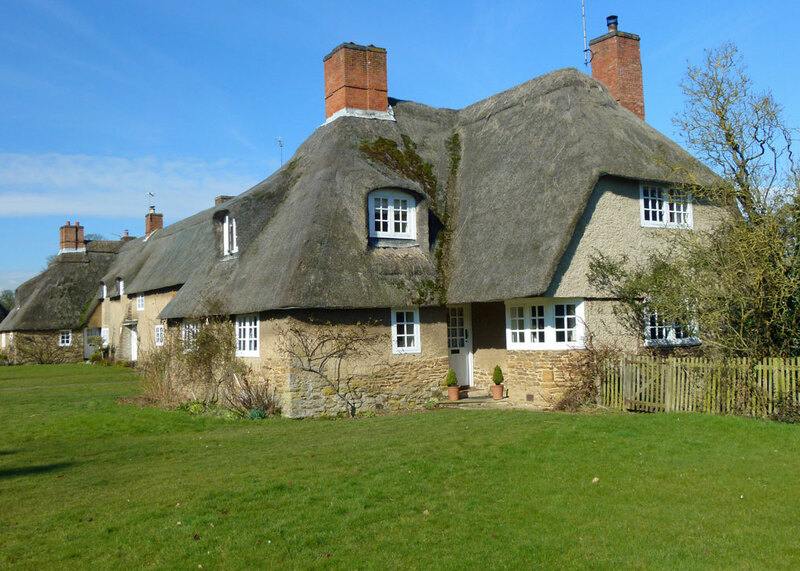 The chocolate-box thatched cottages are early 20th century farm workers cottages, designed by Sir Edwin Lutyens for Viscount Wimborne. If they sold tickets, though, the treasonable merry japes of Guido (Guy) Fawkes & Co a mere 400 years’ back would probably be the main crowd-puller. Actually, the leading actor was not Fawkes, but a charismatic chap called Robert Catesby, whose idea the plot was and whose mother owned Ashby Manor. Guy was just the bloke who was found in the wrong place, loitering suspiciously posing as John Johnson, near the cellar underneath parliament. Here, enough gunpowder was found to blow the place above, everyone in it, and more besides, sky high. It would have been carnage – statistically worse than the terrorist attacks in London of 2005 – probably hundreds would have died. More than that, Catesby’s plan included a coup d’état – a rebellion based in the English Midlands, kidnapping the King’s daughter, Elizabeth, and making her queen – having just blown up her dad and brothers – and all with the active support of the Spanish. In short, this was to be what is these days euphemistically termed ‘regime change’. Ironically, however, Anglo-Spanish relations were improving and a peace treaty was signed in August 1604; the conspirators would receive no help from Spain. So how did all this ambitious mayhem come to be plotted amidst the ridiculously pretty thatched cottages and trim, affluent-looking, community of Ashby St Ledgers? (Of course, the 17th century village might not have looked as cute or as well-heeled as it does today). However, since the 15th century Reformation, it wasn’t easy being a Roman Catholic in Protestant Britain. Your very way of life was threatened. You couldn’t practise your religion openly and there was the constant danger of arrest, or worse. The issue for the authorities, aside from any difference over religious dogma, was plain and simple – it was one of divided loyalties. Could Catholics, bound to obey the Pope in Rome, and sharing a religion with England’s enemies, France and Spain, be loyal to the English Crown? It was partly the fault of Pope Pius V, who had excommunicated Queen Elizabeth in 1570 – effectively making her a legitimate target for assassination by any lunatic Catholic, and having a catastrophic effect on Catholics in England by turning every one of them into potential traitors. Indeed, there were plots against Elizabeth – which were ruthlessly put down. The new King, James I, had as King James VI of Scotland, allegedly suggested that things would be easier for Catholics if – or when – he became king of both countries. And, of course, things didn’t get easier at all – partly because of two plots to remove James from the throne early in his reign. To cut a long and fascinating story very short, Catesby decided he’d had enough and assembled a band of like-minded recruits to ‘make a blaze’. They miscalculated – badly. There were a number of Catholics in parliament who were loyal to the King – or, at least, recognised that it was not in their best interest to rock the boat. One of them, Lord Monteagle, received a mysterious anonymous letter, warning him not to attend parliament when it opened on November 5th 1605. He promptly took the letter to the King’s chief minister and spymaster, Lord Salisbury, Robert Cecil. Parliament was searched – twice. Fawkes was captured late in the night on 4th or early in the morning of 5th November and, following discovery of the gunpowder and his refusal to reveal any details of the plan, subsequently tortured – probably using the rack. The plot was obviously foiled but, despite that, Catesby still thought he could raise support amongst other dissident Catholics. Incidentally, to this day, no one knows who wrote the Monteagle Letter; there is one theory that the devious Robert Cecil himself was behind it, as part of a wider plan to discredit Catholics. 8 of the 13 plotters, from an engraving by Crispen van de Passe (c1605). 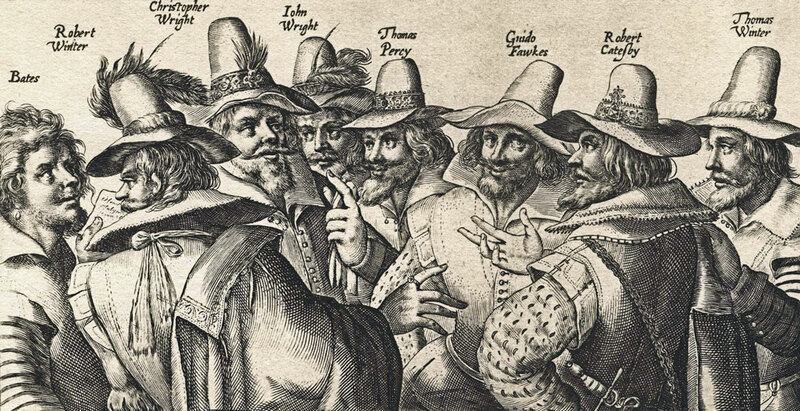 Left to right – Thomas Bates, Robert Wintour, Christopher Wright, John Wright, Thomas Percy, Guy Fawkes, Robert Catesby, Thomas Wintour. There were thirteen main plotters. Most fled London once Fawkes’ arrest was known, heading for the Midlands, where many were based and where the next phase of the plot, the kidnap of the King’s innocent daughter, was due to take place. Six of them met up at Ashby St Ledgers for the last time on the night of the 5th, before proceeding to Dunchurch, near Rugby, where they assembled with others. Catesby tried to persuade his colleagues that they could still win through by raising a Catholic rebellion; and, such was the man’s persuasive and engaging personality that many believed him – or were simply dedicated friends. Like the majority of fanatics, Catesby was detached from reality; most people were loyal to the Crown – or simply did not want to get involved. Eventually, seven of the main insurgents ended up at Holbeache House in Staffordshire – these days, it’s a care home. Here, several of them were badly burned – including Catesby – when some of their gunpowder was ignited by a spark from a fire. One, John Grant, was blinded. On 8th November, the Sheriff of Worcester, Richard Walsh, lay siege with 200 men. In the ensuing gun battle, Robert Catesby, Thomas Percy and brothers Christopher and John Wright were killed. The rest were overcome and other plotters and associates rounded up, one by one, and interrogated as the (possibly understandably) paranoid government investigation gained pace. One of the plotters, Francis Tresham, perished – probably of a natural medical condition – in the Tower of London on 22nd December. The dead insurgents – including Catesby, who started it in the first place (and put Ashby St Ledgers on the map) – were the lucky ones. The remaining key plotters were found guilty of treason and sentenced to be publicly hanged, drawn and quartered. Before this terrifying death, they were dragged, feet first, on a wooden trestle through the streets of the capital amidst baying crowds. The horrific sentences were carried out in batches: on 30th January 1606, Thomas Bates, Robert Wintour, John Grant and Sir Everard Digby were executed in St Paul’s Churchyard; Thomas Wintour, Robert Keyes, Ambrose Rookwood and Guy Fawkes were executed in Old Palace Yard, Westminster, the following day. Their heads, and those of Catesby and the others who had died earlier, were removed and exhibited on poles. They were not the only victims of the Gunpowder Plot – their families suffered, others were implicated, questioned, imprisoned, fined and at least one, Father Henry Garnet, a Jesuit priest, was gruesomely executed too. The legacy of the Gunpowder Plot, though, haunted Catholics, and the United Kingdom, down the years – not least in helping to spin out religious intolerance; it is not as simple as the superficially innocent British tradition of lighting a bonfire and setting off a few fireworks every 5th November. If you would like to know more about the 17th century plan to blow up the British parliament and stage a coup d’état, I can highly recommend Antonia Fraser’s book, “Gunpowder Plot – terror and faith in 1605” – it reads like a detective story. Thanks for sharing this photos of the village. I love what I learn from books, but the added dimension of geography is hard to convey. It’s easy to condemn the torture and the violent executions, but what the plotters were doing was treason. They were going to kill the king, his sons and everybody associated with government. England would have been defenceless against her enemies, internal and external. There could be no leniency for those involved. The actions of people in the seventeenth century should not be judged by the standards of the twenty-first, although I have a suspicion that that’s what’s behind the BBC’s graphic torture and execution scenes. I couldn’t agree more; a bit of balance would be nice. It’s hard for us to understand the mindset of those far off days, where religion was so bound up with politics and power. This story has drawn (horrified) so many of us for the last few centuries. This great post adds the extra dimension of a tour round that lovely village in which the plot wad hatched. The picture of the 13 plotters is in every history text book I’ve ever used with Year 8 or 9 students, and there are photos of Holbeache House in many of the books, too. 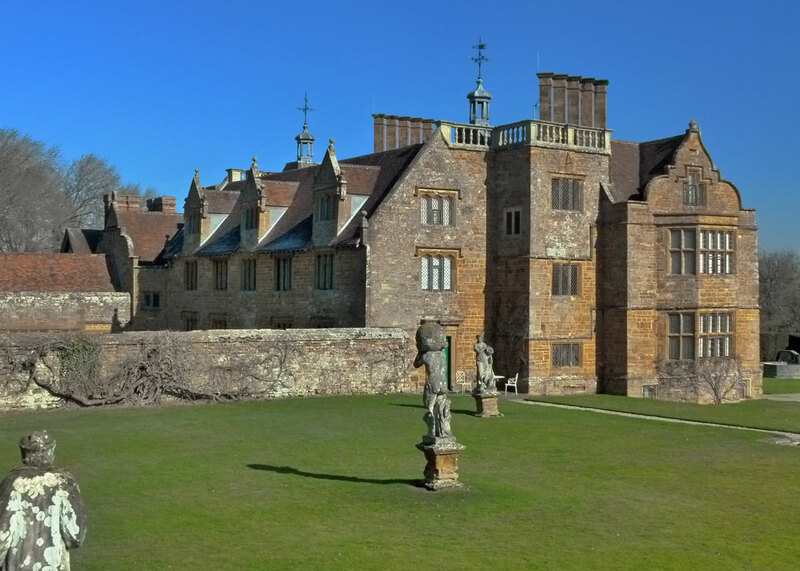 But I’ve never seen/read info about Ashby St Ledgers before, so thank you for sharing that, Mike. It’s a very pretty village today. I believe the 3-part drama about the Gunpowder Plot started last Saturday (Oct 21). There have been lots of complaints about the graphic torture scenes, I believe. I’m wondering how the BBC will show the execution scene, presumably in the final episode. To be hung drawn and quartered was one of the most gory methods of execution ever (probably even worse than the Viking ‘Blood Eagle’. Thanks, Millie! The brutality of being hanged, drawn and quartered, or the ‘blood eagle’, or anything like that, is sickening. That said, I don’t have too much of a problem with the BBC showing graphic scenes of violence, provided it is well past the watershed and provided it illustrates the plot. But I found the historical inaccuracies in Gunpowder irritating – this twisting of facts is a dangerous trend – people believe what they see or are told. The story of the Gunpowder Plot is dramatic enough without getting events confused. And, while no one sensible can condone religious persecution, we should not forget that Catesby & Co were terrorists who set out to murder scores, if not hundreds, of people. Excellent post. This is a topic I love, somewhat perversely, but your architectural images add an element that I knew little about. One question. Why do you think the government was paranoid about the Catholics taking over again? How long had it been since the last realistic threat to Protestant rule? Thanks for dropping in. Big question! I think the fear among many Anglicans was more to do with politics than religion – England’s main potential enemies at the time, France and Spain, were both Catholic countries and, rightly or wrongly, there was genuine concern about where Catholic loyalties lay – even though James made peace with Spain as soon as he could. The Pope had effectively declared open season on Queen Elizabeth in 1570, turning all Catholics into potential traitors; an atmosphere of suspicion prevailed. I’m no expert, but suspect the last realistic threat to the monarchy at the time was actually the attempted Spanish invasion, the Armada, of 1588 – though there were various assassination attempts. I don’t think there was any realistic prospect of the country turning back the clock and reverting to Catholicism. Ssuch a fascinating time in English (and Scottish) history! Ah, now, despite my general lack of enthusiasm for Northants, I DO know Ashby St Ledgers and it is indeed a very beautiful village. I had to pass through it a few times but was always unable to stop and find out more (long story) and I don’t know now when I will be back in the area. So thank you for the exciting story associated with it – I had no idea about what happened after November 5th. I always think about the savagery of life around 1600 listening to Shakespeare, and marvelling that we can so easily identify with his characters. You should pop along to Lewes in November and write about their 5th November celebration, Hilary. It’s certainly on my ‘to do’ list! I have heard of Guy Fawkes in school history (50 years ago!!) – the day is ‘celebrated’ here in Canada (specifically Newfoundland) – but the details of the torture these plotters endured are horrendous. An informative post. The town is certainly pretty and quaint. The engraving of some of the plotters shows how difficult it would be to give an eye-witness desciption of those involved. Only Bates is shown to be rather unlike all the others. Good point! They all look pretty much the same…maybe that was intended. Francis Tresham, son of Thomas “Triangular Lodge” Tresham? I didn’t realise he was a Plotter. Yes, I believe the very same Tresham. And I agree – get the stone in the right light and it’s beautiful. What a beautiful place looks so quiet and peaceful – and yet so much went on there. It all comes down to religious fanatism, doesn’t it. How sad. 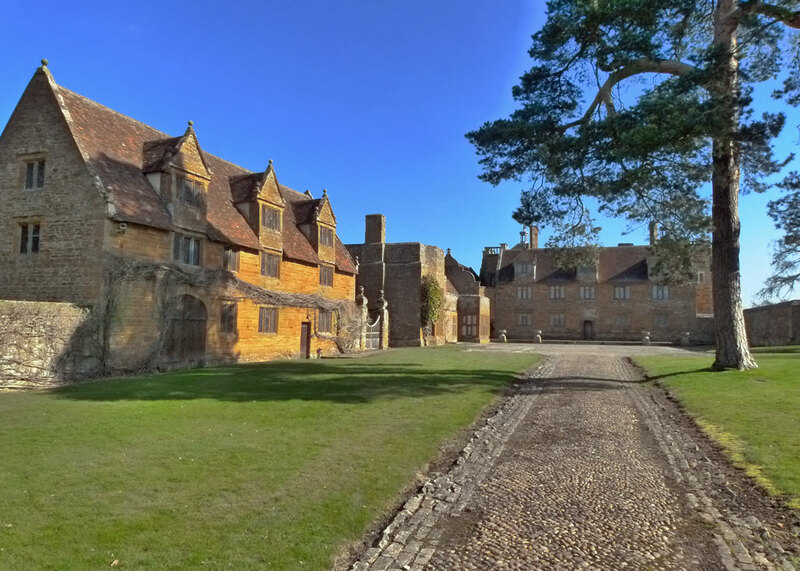 Ashby St. Ledger really does have a chocolate box look. The great weather you were enjoying that day adds to it, of course. 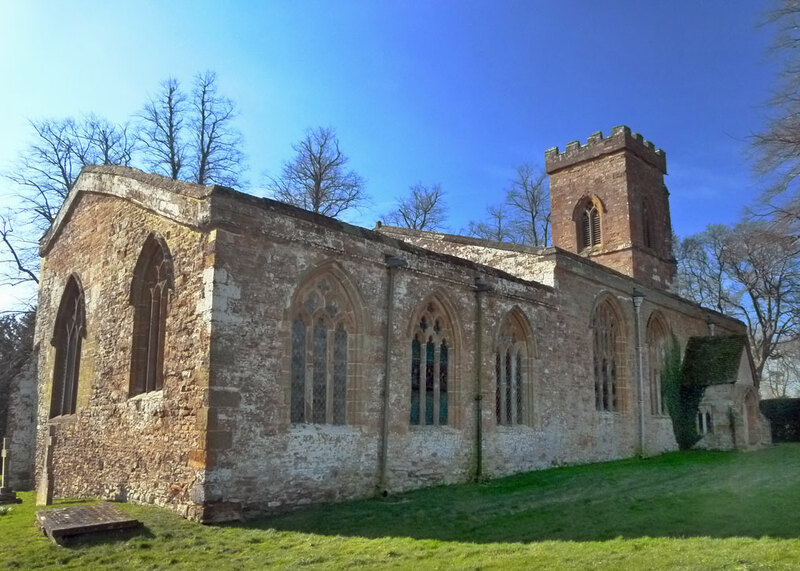 I’d love to visit the 13th century church. Yes. I like to think we can learn lessons from this; but probably not. Had of course heard of Guy Fawkes and the Gunpowder Plot but none of the details. Good post. What a quiet place to set off such a momentous event. I had only minimal knowledge of this event but thanks to you, I now know more. I really like the look of Ashby St Ledger especially the church which looks as though it probably has an interesting history. The story of the Gunpowder Plot and its aftermath is chilling, I’d heard of Robert Catesby of course but didn’t know the full extent of the story.